Please note – we are discussing about the procedure of submitting wishes to kochu tv, you need to follow official website of sun network for the same, we have attached the url in this post. 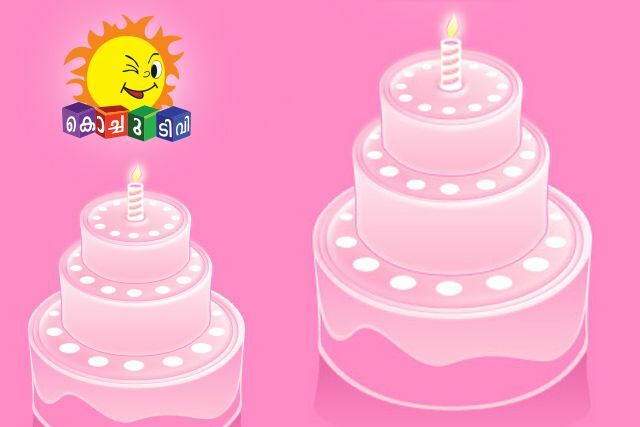 kochu tv birthday wishes greetings for your kids, check here for how can you contact kochu tv for scrolling your child birth day wishes on the channel. kochu tv is the one and only full time kids channel in malayalam. its from sun network and kochu tv is popular for their programs. dorayude prayanam, marsupilami, detective rajappan etc are some of the favorite shows of kids. there are an interactive section kochu tv is that the birthday greetings. kochu tv will wish your kid on the brthday, you need to send the details. there are lot of way to conatct kochu tv for birthday wishes. From 29th December 2018, New Channel tariff plans activating, check the pricing of your favorite malayalam channel pricing. Please be remember that you should send kids details to sun network to display wishes at television, we are just guiding to send the matter. how can i watch kerala channels from outside india – yupptv malayalam package. Keralatv.in not affiliated with sun network or any other television network, we are just providing info about media news. you can send child images and birth date to kochu tv. [email protected] is the official email id, make sure to send the details before 10 days. for example you kid birthday is on 12th august, you send the same before 2nd august. then only kochu tv can include the same in birthday wishes. Birthday wishes on Kochu TV is showing 8 A.M and 1 P.M on Kochu TV. Photo size is Post card size 6 x 4 inch. now you can watch kochu tv online through sun nxt application. check here for more details if the same. yes you can also submit the details through this website. open the url http://www.sunnetwork.in/birthday/kochu/birthday.aspx in the web browser and submit details. you need to include personal name, date of telecast, mobile number, city, country, sender name, email id, photograph etc. Happy Birthday program in Kochu TV channel is very popular and every parent wish to include their kid name in the same. you can follow these steps and make your child birthday more happier. this will be a perfect git to them, everybody will see the same through kochu tv.